Just in time for National Fried Chicken Day, I’ve come up with a healthy alternative to my favorite picnic food. 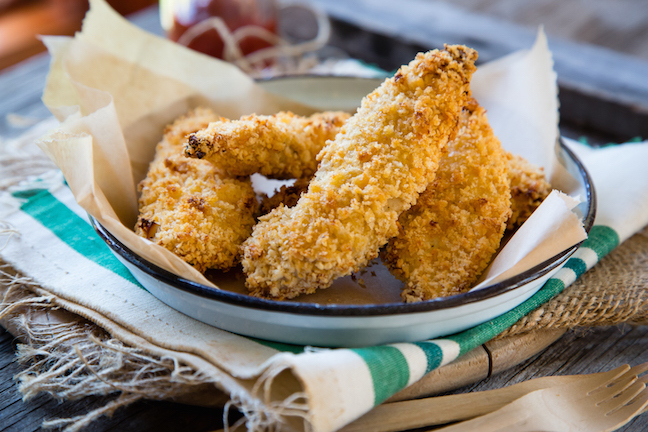 These lean and juicy oven fried chicken tenders are coated in crispy panko bread crumbs, and baked to crunchy, golden-brown perfection. They’re amazing hot, and just as delicious at room temperature, which makes them perfect for packing on a picnic. My kids will love these just as much as the full-fat version. 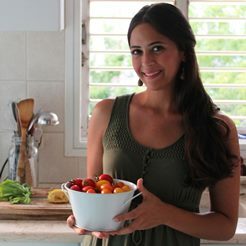 Here's my recipe for "fried" chicken that will tempt even picky little eaters. Step 1: In a large bowl, season the chicken tenders with the salt, onion powder, garlic, freshly ground black pepper, and paprika. 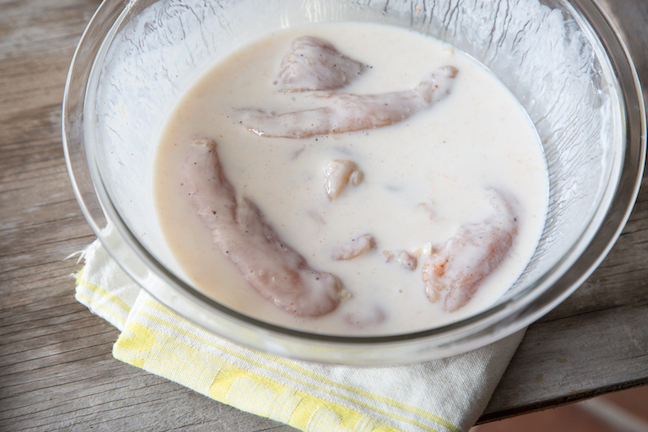 Pour the buttermilk over the chicken tenders, and toss to coat. Cover the bowl with plastic wrap and refrigerate for at least 2 hours, or overnight. 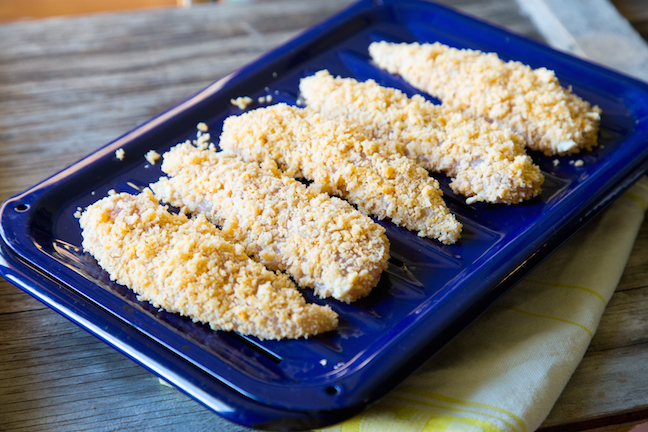 Step 2: Once you are ready to cook the chicken, preheat the oven to 425 degrees F. Pour the panko bread crumbs to a large plate or casserole dish. 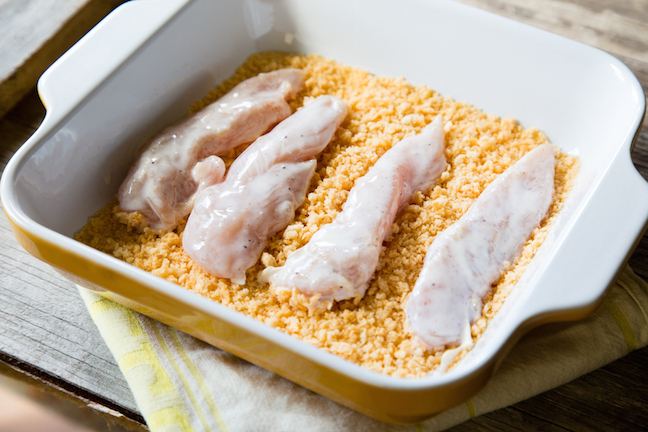 Drain the chicken from the buttermilk mixture, and coat evenly with the breadcrumbs. Step 3: Place the breaded chicken tenders onto your greased baking tray and coat generously with the olive oil spray. Bake in the preheated oven for 30 minutes. Be sure to flip the chicken halfway, and spray with more olive oil. Bake until golden brown and crispy.